Please find attached agenda for the General Meeting to be held at the Roma Administration Centre on October 23, 2013 at 9.00am. Maranoa Regional Council is required to submit a Pest Management Plan for approval by the Minister. A draft Pest Management Plan has been completed after considerable consultation with keystakeholders, and is now submitted to Council for adoption prior to being furnished to the Minister Department Agruculture Fisheries and Forestry, the Hon. John McVeigh MP. That Council approve the draft Maranoa Regional Council Pest Management Plan to be submitted to the Minister of Agriculture Fisheries and Forestry. The attached draft pest management plan has been developed in consultation with key stakeholders. Council is obligated in accordance with the Land Protection (Pest and Stock Route Management) Act 2002 to undertake consultation with identified key stakeholders and develop a Pest Management Plan. The attached Plan has had two years of consultation and development, with it recently being presented to the Regional Pest Management group for comment. The draft plan was initially collated with the five shire plans of Bendemere, Booringa, Bungil, Roma and Warroo. There is an annual working plan to be implemented by Council’s Local Law officers in partnership with landowners and or managers. Currently, there is no species mapping integrated into this plan, as in the past three years all mapping information that had been collated had not been updated. As such, the Plan will provide a link to the Department of Agriculture Fisheries and Forestry website. Council officers meet with Departmental GIS officers for annual information updates. This Plan is to be reviewed each annum, which may become a project for the Regional Pest Management group. It is expected that the Plan will be uploaded onto Council’s website for ease of access by clients. Council has a legal liability in accordance with the Land Protection (Pest and Stock Route Management) Act 2002. · Reduce the economic, environmental and social impacts of pests within the Maranoa Regional Council area. · Improve the use of resources and expertise available for managing pests within the Council area. · Prevent the establishment of new pests and minimize the spread of current pests. · Improve the protection of environmentally significant areas. To help achieve this Maranoa Regional Council has developed the “Maranoa Regional Council Pest Management Plan 2012 – 2016. Animals that are declared pests under the Land Protection (Pest and Stock Route Management) Act 2002. Land managers are responsible for the control of declared animals on their land. An exotic animal, causing detrimental impacts on the environment, industry or community activities. A pest animal maybe a declared animal. Pest animals are managed for impact reduction, usually through some form of population control. State wide weed and pest animal mapping database. An individual or local population of native animals that sometimes conflict with local or immediate human activities. Native species are generally protected under the Nature Conservation Act 1992 and are managed for conservation goals. Control is undertaken by authorised/accredited personnel or under permit. An agreement between neighbouring Local Governments to ensure a framework is in place to rapidly coordinate resources across a region to respond to critical outbreaks of pest animals and or plants, to help prevent infestation of neighbouring regions. Gives stakeholders and authorities increased capacity to deal with critical outbreaks of identified pests. Map of wild dog scalps presented for payment under Council’s bonus payment scheme map available from Maranoa Regional Council ). The Land Protection (Pest and Stock Route Management Act) 2002 requires local government to develop, adopt and implement local area pest management plans as part of an integrated planning framework for managing pest plants and animals across Queensland. Maranoa Regional Council’s Pest Management Plan 2012 – 2016 has been developed through the review of past Council Pest Plans and in conjunction with a local community working group. It integrates with the Maranoa Community Plan, Council’s Corporate and Operational Plans, State management strategies for pest animals and weeds, State guidelines, plans and other relevant environmental legislation. Maranoa Regional Council covers an area of 58,830sq km that is home for approximately 13,000 people. The region maintains a proud and productive rural industry which in more recent years has been complimented with industrial expansion in the energy and gas sectors. The main agricultural industries within this region include beef cattle, sheep/wool, grain crops, cypress pine and wild game harvesting hat will be affected should control mechanisms not be implemented for pest plants and or animals. Pest animals and plants are reported by the Department of Natural Resources & Mines (2004) as costing Queensland over $600 million annually in lost production and control costs. Effective pest management helps protect the urban and agricultural industries upon which the Maranoa Regional Council area relies, as well as, protect the environment and human health. Pest animals have the potential to alter ecosystems, reduce primary industry productivity and profitability, seriously limit the long-term viability of natural and agricultural landscapes and can impact on human and animal health. A holistic approach must be adopted to achieve a harmonious balance. Pest plants compete with pasture species to reduce available grazing, plants may be toxic to stock (such as Mother-of-Millions), compete with crops for space, water and nutrients and in the case of aquatic pest plants can affect water quality and biodiversity within streams and wetlands. Pest plants also degrade natural vegetation and impact on biodiversity. Social impacts include effects on human health, recreation, safety and aesthetics. This Pest Management Plan has been developed to identify strategies and actions the Maranoa Regional Council intends to implement to manage pest plants and animals on lands under it’s jurisdiction to fulfil it’s obligations in accordance with the Act. · the bed, banks and water to the centre-line of a watercourse forming a boundary, or part of a boundary, of the owner’s land. The Department of Environment Resource Management and local government provide practical skill and technical information to assist. Local Governments and other issuing entities may give an owner written notice (a “pest control notice”) if a landowner does not comply with their obligations under the Act. This notice would include a reasonable action the owner must take against the pest within a stated reasonable period. A penalty could apply if such action stated in the ‘notice’ isn’t undertaken. · Administer and enforce the Land Protection (Pest and Stock Route Management) Act 2002, by monitoring pest infestations within the Shire. These Officers' spend about 60% of their time on pest plant and animal management and about 30% on stock route management and 10% on urban animal control. In previous years, local governments of the area have provided financial assistance for trails on parthenium biological control mechanisms, which has ceased at this time. However Council remains committed to working in collaboration with neighbouring Local governments and Catchment Management groups in the provision of educational material, additional spray units to landholders/managers for control of pest plants. Maranoa Regional Council provides through the community benefit fund program, financial assistance to Wild Dog Control Groups within the Region for the implementation of coordinated management processes in their area. Such assistance is used for aeroplane hire and meat purchase in regional integrated baiting campaigns only. An annual action plan is incorporated and includes, program objectives, operational actions, current status of a pest, success measures and indicators, plus resources able to be allocated to the strategic management of each high priority pest identified in this Plan. · Reduce the economic, environmental and social impacts of priority pests within the Maranoa Regional Council area. · Partner with landholders and land managers to achieve cohesive control practices. · Improve the use of resources and expertise available for managing pests within the Council. The Maranoa Regional Council Pest Management Plan 2012 - 2016 covers the entire land mass within the Maranoa Regional Council, including land owned or controlled by individuals, industry and or the state. Species targeted within this Plan are listed in Section 3.0. The local distribution outlined in this section only relates to land within the Shire managed by Council and does not include freehold or leasehold land, national parks, state forests and other land managed by the state. Pest management is an integral part of managing natural resources, biodiversity and agricultural systems. Public awareness and knowledge of pests must be raised to increase the capacity and willingness of individuals to manage pests. Effective pest management requires a long-term commitment by the community, industry groups and government entities. Consultation and partnership arrangements between local communities, industry groups, State government agencies and local governments must be established to achieve a collaborative approach for pest management. Pest management planning must be consistent at local, regional, state and national levels to ensure target priorities for pest management are identified at each level. Mapping, Budgeting, Personnel, Timeframe - must form segments of the planning phase. 2. Early detection and intervention to control pests. Pest management must be based on ecologically and socially responsible pest management practices that protect the environment and the productive capacity of natural resources. Research about pest, and regular monitoring and evaluation of pest control activities, is necessary to improve pest management practices. The relationship between these principles, desired outcomes and strategic actions are outlined in Section 2.0. A number of other regional, state and national plans, strategies and policies have been developed to address pest management and related issues on a larger scale. The Maranoa Regional Council Pest Management Plan 2012 – 2016 was developed and will operate within these frameworks to achieve a collaborative approach to pest management. Documents that are significant to this Plan are listed in Table Two. · Queensland Biodiversity, Conservation and Natural Resource Management Statement. 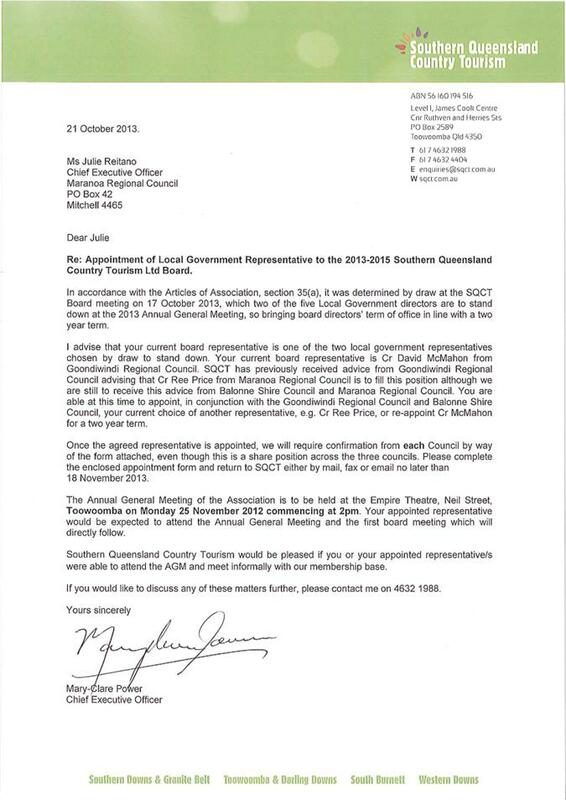 · APEC Parthenium Strategy for Southern Queensland. All previous plans developed by five Councils now amalgamated into the Maranoa Regional Council area were reviewed and combined to produce an initial draft. Maranoa Regional Council then established a working group to advise Council on the content of the revised Pest Management Plan in order to develop a collaborative approach to pest management. Stakeholders involved and their responsibilities in this process are outlined in the table below. · Alignment of Maranoa Regional Council Pest Management Plan with agreed industry strategies, policies and guidelines. · Encourage community adoption of the Plan. · Alignment of Maranoa Regional Council Pest Management Plan with State management strategies, policies and guidelines. · Alignment of Maranoa Regional Council Pest Management Plan with regional natural resource management plan objectives and outcomes. 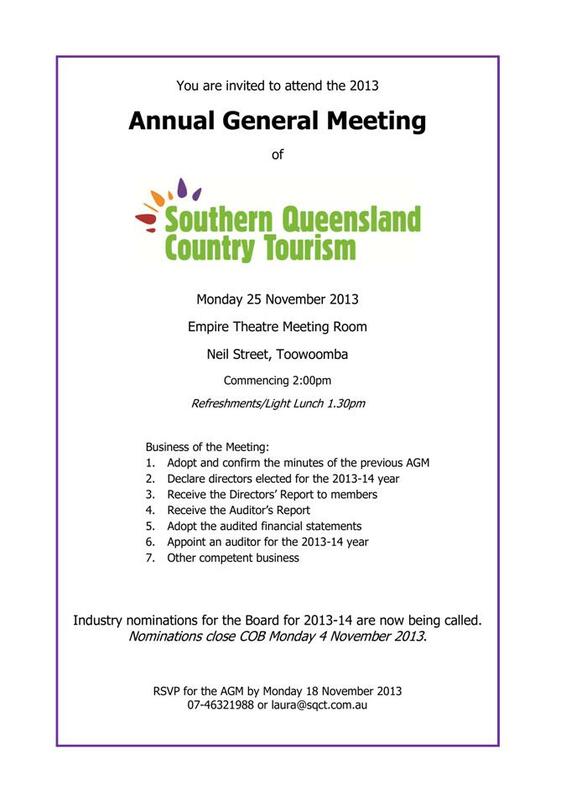 · Identify Maranoa Regional Council direction and available resources. The Maranoa Regional Council community were invited to comment on the Draft Plan from August – November 2010. Notice of the plan was published in the Western Star Newspaper, Maranoa Mail and t Maranoa Regional Council web site. Copies of the Draft Plan were sent to each of the Stakeholders listed in Section 1.7, inviting them directly to comment on the Plan. A major review of the Maranoa Regional Council’s Pest Management Plan will be undertaken every four years, with necessary minor updates being made on an annual basis to reflect changes in resources, pest threats, legislation and/or policy. The Maranoa Regional Council Pests Management Plan will only achieve success through cooperative working relationship, processes and actions as nominated. Individual stakeholders on their own cannot achieve stipulated goals for this region. · Stakeholders are informed, knowledgeable, and have ownership of weed and pest animal management. · All stakeholders need to be committed too, and undertake coordinated management of weeds and pest animals. · Reliable information to be sourced and made available as a basis for decision making process. · Strategic directions are established, maintained, and owned by all stakeholders. · The introduction, establishment, and spread of weeds and pest animals are prevented and/or minimised. · Integrated systems for managing the impacts of established weeds and pest animals are developed and widely implemented. Each desired outcome and associated strategic objectives, actions and success criteria are outlined in Sections 2.1 to 2.6. · The extent to which appropriate information is available to stakeholders. · How aware the community are of pests within the region and their impacts. · How aware regional and state organisations are of pest management activities within Maranoa Regional Council area. · The degree to which individuals and stakeholders pursue education and training. To increase community, industry, agribusiness and government awareness of pests and their impacts. Transport BusinessesAnd within this same information package ask these stakeholders to notify Council of any pest sightings. No. of information booklets or posters produced and distributed within each of the community groups identified. 75% of landholders have the ability to identify the priority pests within the Shire (short survey filled out by cropping, industry, sub-catchment, Landcare groups). Build partnerships with other organizations (including neighbouring Councils, industry and tourist bodies) to source funding and provide signage as required in strategic areas along stock routes and roadways encouraging users to be aware of priority pest plants, how they are spread and the impacts they can have on the local community. No. of locations identified and no. of pest awareness signs erected. No. of tourists (20%), and service industries (80%) aware of priority pests within the Shire – (short survey and evaluation process developed to determine this). At least two regional meetings attended per year. Maranoa Regional Council pest management priorities reflected in Regional plans and activities. Promote good local pest management activities undertaken by Maranoa Regional Council. No. of articles published in local and regional newspapers. Build partnerships with local landcare and tourist organizations to organise pest plant and animal awareness raising activities at local events (for example, local shows, field days, Agforce / grower meetings and popular tourist sites). No. of events at which pest plant and animal resource material is displayed. To enhance local government officer’s knowledge of pest impacts and their capacity and skills in pest management. · Nationally accredited competency-based training in weed and vertebrate pest management. No. of courses and conferences attended. Number of current pest management competency standards held by the LLO. To make readily available to all stakeholders data on the distribution, abundance and current management status of pests. Maranoa Regional Council Pest Management Plan and links to DEEDI website able to be accessed on the Maranoa Regional Council web site. Digitally record and continually update all known locations of priority pests identified in this Plan within the Shire using Map info and periodically provide this information to BSQ. Link the Maranoa Regional Council website to the BSQ website, pest information and maps. BSQ maps showing the distribution of pests that include update data from the Maranoa Regional Council. · Number of stakeholders working in partnership on long-term pest management. · Extent to which stakeholders comply with and enforce the Act. Establish long term commitment with stakeholders in pest plant and animal management. Establish partnerships with key stakeholders to undertake strategic actions identified within this Plan. Maintain a working group of key stakeholders to review Maranoa Regional Council’s Pest Management Plan. Working group established and meets once per year. Continue to support the Queensland Parks & Wildlife Service in coordinated control of pest animals and or plants within national parks and state forests located in this region. A-line coordinated pest animal/plant mitigation programs for state and privately owned land to ensure infestation can not move across the landscape. Enforce compliance with relevant Acts dealing with the management of pest plants and animals. Maintain a register of notices issued to land managers and other enforcement activities. No. of compliance notices issued. Percentage of compliance with first and second notices issued. · The extent to which data is collected and used in pest management. · The extent to which the community attitudes to pest management are understood. To collect, use, and make available to all stakeholders data relevant to weed and pest animal management. Map high priority pest plants and animals and contribute this information to the BSQ Pestinfo data base. Develop and use monitoring guidelines and field evaluation record sheets. Continually monitor and evaluate the effectiveness of control activities (eg. result of spraying “x” priority pest plant). Percentage of pest control activities for which monitoring and evaluation data is recorded. To further the understanding of the biology, ecology and impacts of pest animals and plants. Support, and/or in partnership with, neighbouring Shires, regional groups and state government develop projects to determine the ecology (where required) and local and regional impact of high priority pest animals and plants. No. of projects developed, implemented and their outcomes. Where possible, support regional organizations and state government departments to gather information on community awareness and attitudes about pest animals and plants. No. of requests made by regional organizations and state departments to Council and no. of requests fulfilled. Implement actions of priority pest plant and animal actions identified within the Maranoa Regional Council Pest Management Plan. Participate in the development of regional pest plant and animal management plans, workshops and actions, as appropriate and where funding / resources permits (ie. for across shire or similar issues). No. of pest management activities being addressed regionally by local governments. No. of regional activities Maranoa Regional Council is involved in. Commit to adequately resourcing the Maranoa Regional Council Pest Management Strategy focusing on high priority pests. Percentage of this Plan adequately resourced and implemented. Percentage of resources allocated according to pest priorities. In partnership with other local governments within the region initiate a review of local government precepts payable for the Barrier Fence. Continue to submit the local government precept to the Minister of Natural Resources for the Barrier Fence. Continue to submit the precept fees for research purpose. Seek funding and other resources wherever possible to implement actions within the Maranoa Regional Council Pest Management Plan. Resources (actual dollars and in-kind) obtained from non-local government sources. Establish fair and equitable rates and charge fees to private landowners for pest management services undertaken by Maranoa Regional Council. Value of income derived from service provision versus expenses of work undertaken. Include pest management actions in other Maranoa Regional Council planning documents and new development applications (including preventing weed, seed spread, eradicating high priority weeds on new development sites, planting non-invasive species). No. of pest management actions included in other Maranoa Regional Council planning documents and new development applications. Encourage regional natural resource management groups to incorporate pest management as an integral component of all property land management-planning processes (eg. sub-catchment planning, property planning, environmental management systems etc). 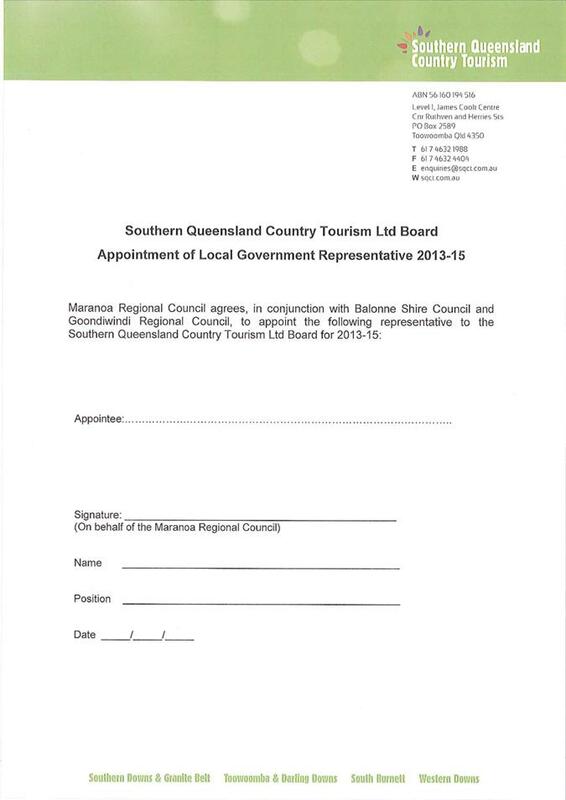 Record of support provided by Maranoa Regional Council. Have all Mining, Service and other relevant companies and their contractors adopt the shire’s weed management plans as part of current recommended practices. Ask Mining and Service companies to submit their environmental management plans to Council for review, compliance and comment. Adopt weed prevention protocols and promote the use of these protocols to other stakeholders. In consultation with neighbouring local governments, weed management groups, BSQ and industry, review existing weed hygiene declarations as appropriate and include these declarations as a requirement of the permit application for travelling and agistment stock. Promote weed hygiene declarations for movement of harvesting, construction, and other industry related equipment, as well as, the movement of fodder, soil and turf. Industry identified as high percentage of key stakeholders - using weed hygiene declarations. Develop a standard code of practice to minimise weed seed spread associated with any civil construction work undertaken by Maranoa Regional Council and outside contractors to Maranoa Regional Council (including on existing and new developments). Code of practice produced and adhered to. No. of infrastructure development contracts that include weed prevention codes. Target pests identified for “early detection and eradication” in Section 3.0 of this Plan. Encourage landholders to provide Council with mapping details of high priority pests through industry, sub-catchment and producer groups. Develop a weed seed spread code of conduct for travelling stock, giving consideration to a “go slow zone” to limit the spread of weed seed as required. Target pests identified for “containment” in Section 3.0 of this Plan and development containment strategies/plans for these pests. Support rapid response agreements signed off by Maranoa regional Council with neighbouring Councils. Respond to landholder complaints promptly by providing processes that can be implemented to reduce infestation. Contain Class 2 pests to core areas. Encourage industry, government and community groups to support the implementation of the Maranoa Regional Council Pest Management Plan within their own programs. Support BSQ to distribute best practice publications to relevant stakeholders. Consider timing, integrated techniques, non-target damage, cost, prevention, animal welfare, workplace health and safety, monitoring, research, operational procedures and chemical registration requirements in planning. Participate in the coordination of plague pest animal management with all stakeholders and support the lead agency, as appropriate. Conduct coordinated baiting campaigns for wild dogs. Advise regional pest / natural resource management groups of areas in which future research is required to help manage pest plants and animals within the Maranoa Regional Council. Monitor effectiveness of wild dog bonus payments made to person/s. Council encourage and work cooperatively with landholders to implement best practice and carry out actions to eradicate or reduce pests within the Shire. Number of complaints and sightings advised to Council/Wild dog advisory group. This Section begins by listing all pests identified as impacting or having the potential to impact upon industry within the Maranoa Regional Council areas, associated community and environmental systems. The “local distribution” information provided in Section 3.2 and 3.3 only relates to land within the Shire managed by Council and does not include freehold or leasehold land, national parks, state forests and other land managed by the state. Using a matrix methodology each pest was then given a very high, high, medium or low priority rating based on the potential detrimental impact to the region if nothing was done to control the pest and the likely impact gained by doing something or spending money now. The known distribution of the individual species was described and recorded with the following table. It was also agreed weed maps produced by DEEDI should be included in the document along with the Priority Weed Threat Map produced by the Queensland Murray-Darling Committee. A number of pest plants and animals are declared under the Land Protection (Pest and Stock Route Management) Act 2002. These plants are listed (Schedule 2 of the Land Protection (Pest and Stock Route Management) Regulation 2003) and categoriised into three separate classes as outlined in Section 3.1.1 below. In addition to this classification Maranoa Regional Council gives an additional priority rating of “high”, “medium” or “low” to each pest animal and plant based on the current and potential impact of the pest within the Shire, where greater resources and attention is given to higher priority pests. A Class 1 pest is one not commonly present in Queensland that is, if introduced, would cause an adverse economic, environmental, or social impact. Class 1 pests established in Queensland are subject to eradication from the state. Landholders must take reasonable steps to keep land free of Class 1 pests. Other powers of the Act apply. For example, Class 1 animals can be kept only under permit. Class 2 pests are established in Queensland and have, or could have, an adverse economic, environmental or social impact. Their management and control requires coordination and they are subject to existing programs. They may also be new pests requiring state coordination, and subject to local government, community or landholder-led programs. Landholders must take reasonable steps to keep land free of Class 2 pests. Other powers of the Act apply. The declaration of Class 3 pests took effect on 1 November 2003. These plant species are established in Queensland and have, or could have, an adverse economic, environmental, or social impact. Their impact is primarily environmental. A pest control notice for Class 3 pests can be issued only for land that is, or is adjacent to, an environmentally significant area. Only some of the other powers of the Act apply. Within the following tables the local distribution only relates to land within the Shire managed by Council and does not include freehold or leasehold land, national parks, state forests and other land managed by the state. Produces vast quantities of seeds which quickly develop into large viable seed bank, making the plant difficult to eradicate. It is extremely competitive with other pasture species and is an aggressive invader, overtaking sparse, overgrazed or poor quality pastures, particularly in sandy soils. Contaminates wool and competes with summer crops. Aggressive plant reduces pasture productivity and quickly out competes desirable pasture species. Invasive tree that smothers pasture and native vegetation, inflicts painful injuries with long spines. Can rapidly form dense thickets restricting stock, vehicle and human movement. Fast growing shrub resulting in severe impacts to native species. Sharp thorns can injure animals and puncture vehicle tyres. Seeds can lay dormant for years and seedlings can reappear in areas that have previously been cleared. Vigorous species that colonies pasture’s and reduces pasture potential, can cause health problems due to allergic properties, toxic to stock. Competes with pasture, common in cultivated land. D. Broadscale management, biological control. The following table provides a summary of all pests identified as ‘high’ priority providing management objective and control method. Annual Pest Plans reflect those species identified as ‘high’ priority due to resource constraints. For the purpose of the Annual Pest Plan (Section 4.0) those high priority plants and animals with the same management objective have been grouped together. This is because the actions and measures of success will be similar. Within each of these broader management objective groups some specific treatments or actions for individual pests are also identified. · Herbicide control – small and or isolated infestations treted immediately, extensive infestations will require herbicide treatment in conjunction with pasture management. Timing of spraying is critical so parthenium weed is removed when plants are small or before seeding has occurred. · Avoid moving cattle from infested to clean areas during rain events. Cattle should be held in a yard or small paddock until seed has dropped (tails, hide hair etc) before releasing animals to larger grazing area. · When purchasing hay, seed or other fodder material, ensure the product is parthenium weed free. · Biological control – stem boring longicorns beetle (Alcidion cereicola) and mealy bug (Hypogeococcus festerianus). · Biological control – cochineal insect however these must be protected in winter and during wet weather. · Removal of plant and root system can be done, however root system is very complex – need to remove all yellow roots – burning of roots is advisable. Please note that dried plant matter is toxic to stock. Mechanical, Biological and chemical control methods can be implemented. Can be sprayed with herbicide, results can be variable as upper leaf surfaces are largely non-wettable making absorption of herbicide difficult. Large infestations may be gathered with mechanical harvesters and scoops although effectiveness of this method is liminted as the plant breaks easily into fragments. Control of prickly acacia can be achieved with an integrated approach using mechanical, chemical and biological methods. Fire and pasture management can complement these treatments – variables to be considered when determining control methods – location, size and density of infestation, landform, timing of control, available resources. Mechanical control – to be conducted before the seed pods are dropped – permits may be required if native plants are affected. Plants with truck diameter less than 150mm can be grubbed, cutting the root to at least 300 mm below the soil surface to prevent regeneration – tractor fitted with a scoop or grubbing attachment is useful for this purpose. Basal bark spray method is suitable for stems up to 100mm in diameter. Stem should be sprayed completely around the base up to a height of 300mm above ground, wetting the bark to the point of run-off. Most effective between April and August. Cut stump and apply chemical technique may be used at any time of the year. Foliar or overall spraying is effective on seedlings and young plants up to 2m in height. ALERT – Early identification is essential – contact DEEDI or your LG if you suspect a plant within this Shire. Manual removal most effective – remove any basal or stem seeds and incinerated prior to plants dry out. Mowing or slashing – narrow window of opportunity to implement this process, no mowing of plant after flowering. Fire can be used when plant in full seed. Will reduce new seedling growth, however will promote seed located in soil. The ability of locusts to invade previously uninfested areas and lay eggs within days, combined with the mobility of flying swarms, makes swarm control particularly difficult for individual landholders. Locust control is usually best carried out at the hopper stage. Currently, the most cost-effective way to achieve control is by spraying the densest concentrations of locusts, either as bands or swarms. The Australian Plague Locust Commission is researching control techniques to reduce non-target impacts of chemical control. Landholders must work collaboratively to eradicate this pest animal in grain growing areas. Use of manufactured baits is essential to protect grain. An integrated control approach should be adopted. It is important landholders understand that biological control agents are not the sole answer to the rabbit problem. It is essential they are incorporated into a management strategy with other control techniques. Destroying a rabbit’s home (eg. fumigating and ripping warrens) is the most effective method for long-term control. Other control methods include Myxomatosis, baiting with 1080 or pindone, rabbit proof fencing, clearing surface cover, fumigating warrens, shooting and trapping. · 1080 baits are the most economic, efficient, humane and effective method of controlling wild dogs, especially in inaccessible or extensive areas. Baits can be laid in large numbers by hand, from vehicles and or from aircraft. 1080 can only be obtained through licensed NRM&W and Local Government operators. To increase baiting effectiveness and maintain low wild dog numbers, it is essential that baiting programs be coordinated among adjoining properties disregarding local government boundaries and landholders work together to achieve this goal. o Shot - which is opportunistic and mostly used for the control of small populations. o Trapped – which can be time-consuming, labour-intensive and depends on the skill of the trap operator. o Fenced out – this can be an expensive process and requires continual maintenance to repair damage caused by fallen timber, floods and animals. For fencing to be successful, it must be possible to eliminate wild dogs from within the fence. o Livestock guardian dogs – less successful on larger holdings where stock are more widely scattered and has the potential to restrict the use of traps and baits. eradication. Consequently Maranoa Regional Council also places high priority on actions associated with hygiene management and awareness. · Identify potential pest plant entry points on land managed by Maranoa Regional Council. · Establish property / site hygiene plans, as required. 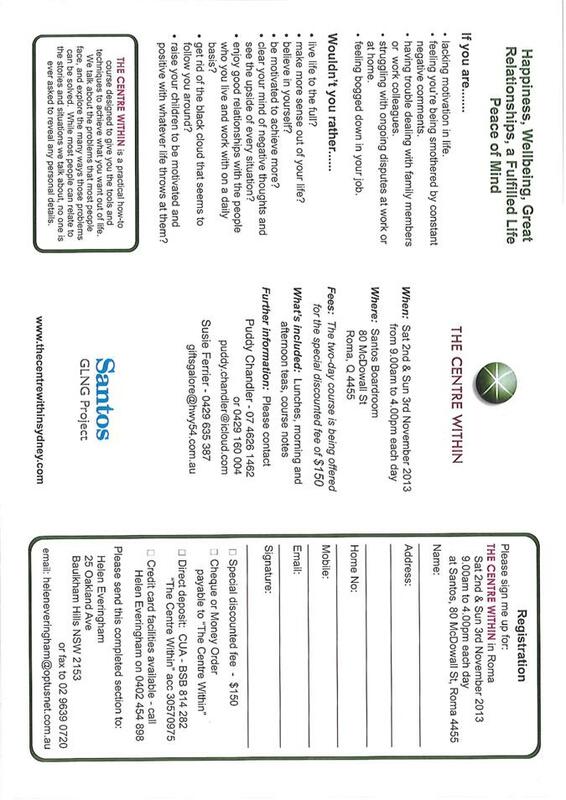 · Require a written weed hygiene declaration for any material, stock and vehicles (eg. seed, hay or other stock feed) bought / used within lands managed by Maranoa Regional Council. equipment used or contracted by Maranoa Regional Council, as required. · Monitor washdown facility sites to identify if, (i) upgrades needed for existing facilities and (ii) the requirements for new facilities. Should facilities be recommended for Maranoa Regional Council investigate funding opportunities and partnerships to build them. Maintain current washdown facilities to user friendly efficient standard, work in collaboration with DEEDI to develop any new strategic sites – Roma Saleyard Site. 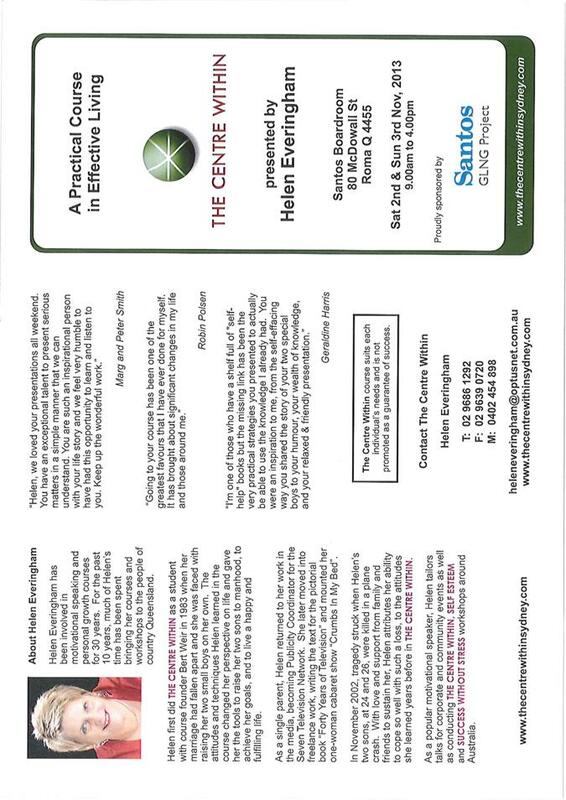 · Raise community awareness of pest plants by way of brochures, displays and other means. · In conjunction with DEEDI collate and distribute best practice information to landowners / managers, including maintaining good pasture competition by implementing sound land use management practices. No. of regional pest plant booklets distributed. · Map current major infestations sites of high /medium and Class 1 and Class 2 priority pests. · Update maps of known infestations. · Investigate and source additional funding and resources to help manage pests. · Provide advice to landowners regarding the control of infestation areas on private areas, as required. · Work cooperatively and encourage landholders to be committed to eradication of pest infestations. · Conduct regular follow-up inspections of known infestation areas on private property of high priority pests. No plants within the Shire. Implement a rapid response program to eradicate a plant identified within this Shire. 4.1 High Priority Plants cont. Neighbouring Local Governments have placed high priority to eliminate any infestations of the above plants. Eradicate cats claw vine within the Bungil Creek area. Seek assistance from all urban residents to eliminate the plant from their garden. Monitor and map current identified sites to ensure eradication of plants. Eradicate, all high priority plants by implementing best practice control methods. Identify and contact land holders along Bungil and Yalebone Creeks to eradicate cats claw vine in water courses. Identify and contact urban gardeners to eliminate cats claw vine in urban gardens. Number of community responses from articles placed in Bottle Tree Bulletin. Contain to current areas. Maintain mapping of all species so as annual comparison can be made. Control roadside parthenium growth (North of Mitchell and Roma) to eliminate further spreading of plant by vehicular traffic. Reduction in Rope Pear, African Boxthorn, Green Cestrum infested areas. Reduced rabbit infestation within the Shire. Work with DEEDI personnel to implement bio control to reduce rabbit numbers. This draft Maranoa Regional Council Pest Management Plan was submitted to the Minister for Natural Resources in August 2012. The Minister judged that this plan satisfied the requirements of the Land Protection (Pest and Stock Route Management) Act 2002 (QLD), and in XXXXXX, 2012 advised council to adopt such plan. In keeping with sections 30(2) and 32 of the Act, the council adopted the plan for implementation on XXXXXXX, 2012. It is available for public inspection in both written and electronic form at the Council’s office. The Plan will remain current until 1 July 2016, with annual action plans enabling its implementation over that time. The annual action plan for 2010-11 will be reviewed for its effectiveness on or before 1 May 2011, as required by section 33(2) of the Act, and any shortfalls in the completion of its strategies will be addressed in the next year’s plan. As part of the process of implementation, Maranoa Regional Council has communicated to stakeholders their responsibilities, and is overseeing the coordination of pest management activities contained within this Plan. Monitoring and evaluation processes (including the measurement of actions against stated success criteria) are in place to ensure the effectiveness of the plan. Any amendments to the plan will require its resubmission to the minister for approval, and the old plan will be replaced upon the adoption of the new one. Maranoa Regional Council will use available resources to implement this Pest Management Plan. Actions associated with high priority pests will be implemented initially with other priority work to be done as time and budgetary constraints permit. Prevention is generally recognised as a more cost effective method than containment or eradication. Consequently Maranoa Regional Council also places a high priority on actions associated with hygiene management and awareness. Maranoa Regional Council will continue to work with a range of stakeholders to implement this Plan and will undertake a regular review of actions, including how they are meeting the operational objectives through the stated success indicators.